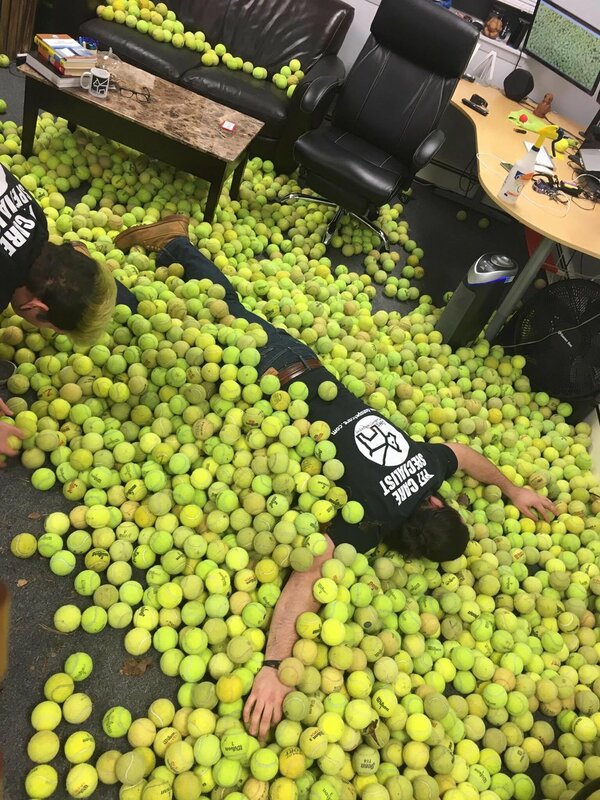 After finally collecting over 4,000 tennis balls we knew we were getting close! We reached out to Chris to let him know that his wonderful Instagram post had inspired us to do this and we wanted to get his permission to use the footage of him and his beautiful dog Everything. He was more than willing to help and was incredibly thankful for us helping to honor his late dogs memory and continue the work he was doing. 3 GoPro Cameras, 1 DSLR and 1 Drone later we were ready to shoot the video! It was a lot of work but a lot of fun! There are a few different ways you can help us make this into a success! Simply go ahead and share this video! Tag your favorite shelter and we will send them a bag of tennis balls that they can send home with each new dog so they can start making their own memories in their new forever home. Make a donation! Our shelters work so incredibly hard on smaller budgets than you would expect and they can always use some help! Remember every dollar counts so if you can spare a few look up your local shelter to donate today. Fill out the form below to get a bag of tennis balls sent to your favorite shelter! Thank you! Don't forget to share this page or the video!